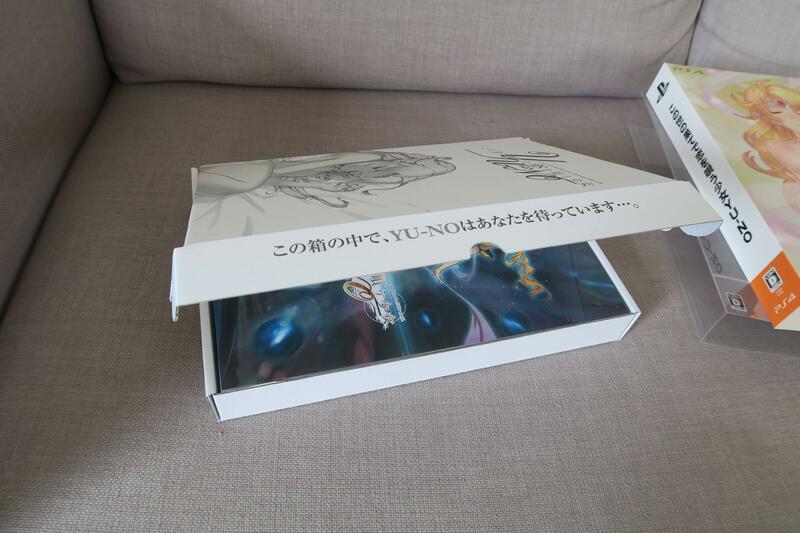 I received my limited edition YU-NO for the PS4 last week. This a remake of the PC-9800 (and later Sega Saturn) visual novel by Team ASD (ex-CAVE producer Makoto Asada, et al) at 5pb. I played the Saturn version about 20 years ago, but didn't finish it; my Japanese wasn't very good back then. 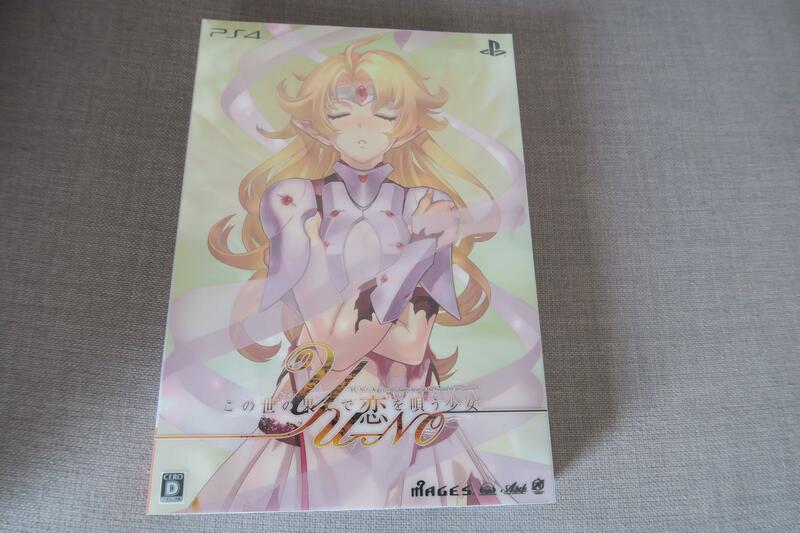 I was very excited to hear this was announced for the PS4 and PS Vita last year, and I bought a PS4 in order to play it because I don't like playing VNs on my Vita. Unfortunately it was delayed from its November 2016 release date until March 16, 2017, but the good news is I found plenty of great games to play on my PS4 in the meantime. So far I am really enjoying the remake. I love the new art style, and it is fully voiced with great VA. 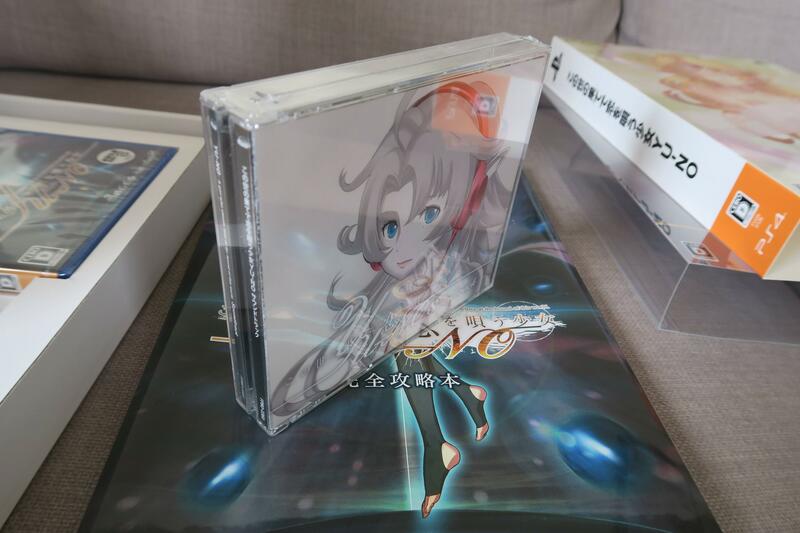 The original PC-9800 version is also included as free DLC with the first print run. Here are some pics of the LE. 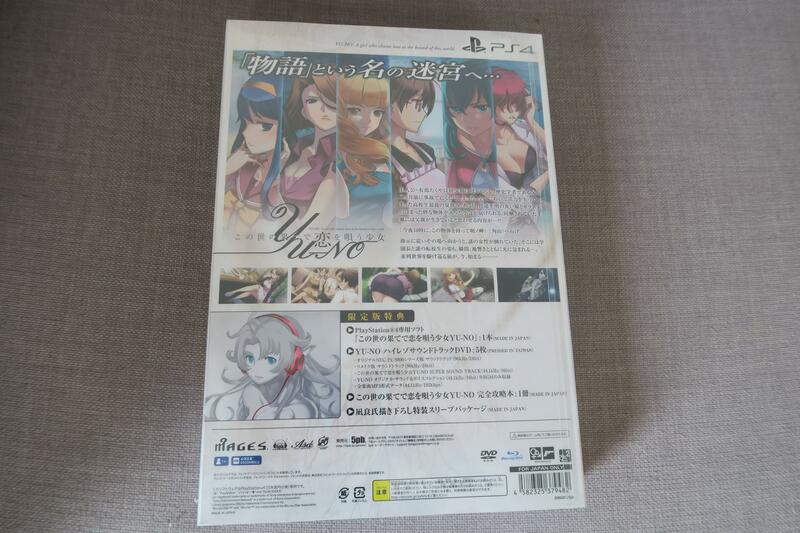 Take off the plastic sleeve and we are greeted with a naked anime chick. Take off this cover and we find a CAVE-style cardboard box! Pretty cool. 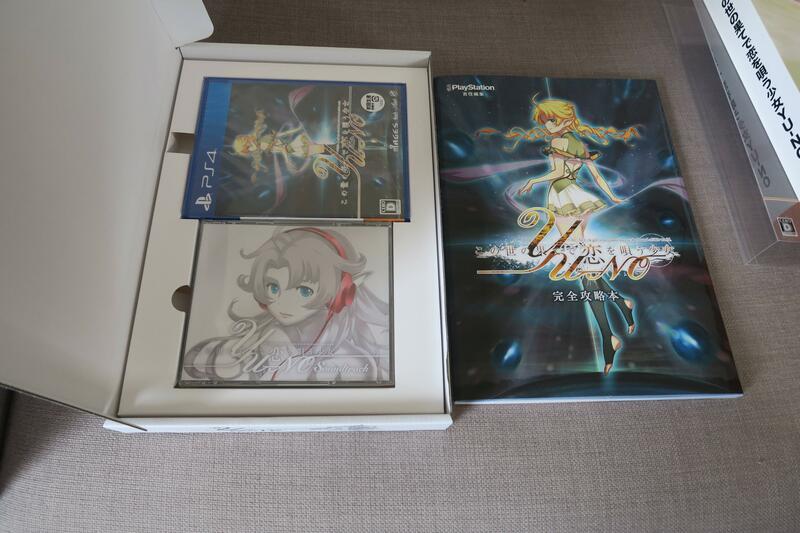 Inside the box is the game, a 5 DVD disc soundtrack collection, and a strategy guide. 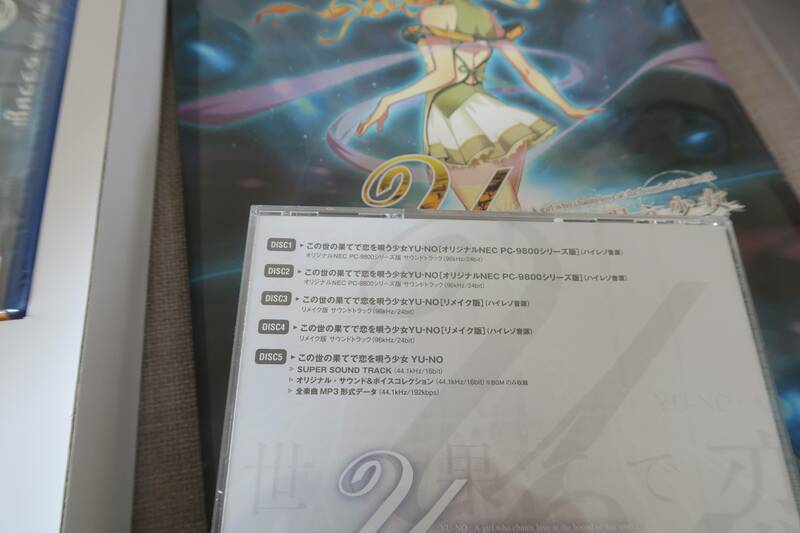 I bought the LE mainly for the strategy guide. 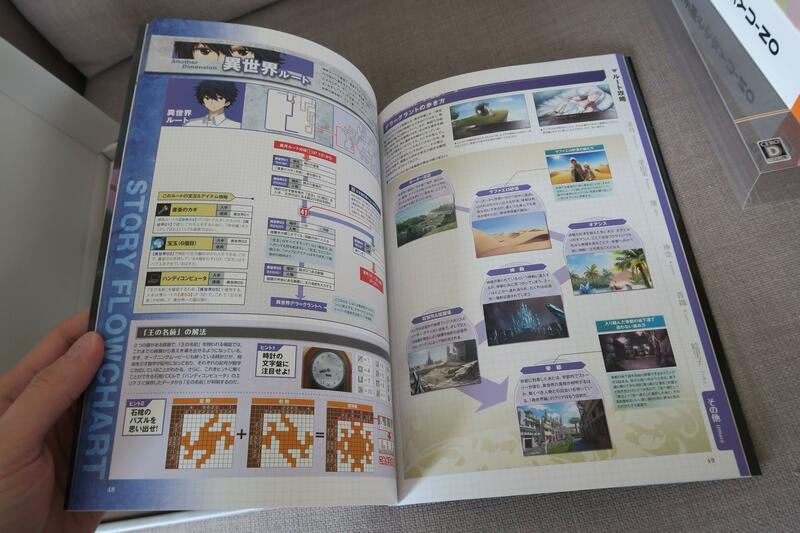 The guide also includes some background on how they made the remake. Wow, I don't usually go for boxed sets, as usually they just include a bunch of crap I don't need, but this one is amazing. All killer, no filler! 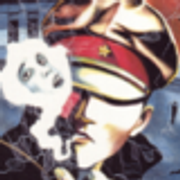 Been meaning to play the major C's Ware Games for a while, and will start with DESIRE. As someone who has never seen a PS4 game in a store (yes, I live in Cave on Mars) do they all feature an orange band? Please tell me no. Thanks for the pictures and your impressions, looks neat! And the outer box with that orange border at least looks better than any XB game I own (those neon green plastic cases makes me want to hide them in some drawer). But yeah, not exactly pretty. Gaijin Punch wrote: As someone who has never seen a PS4 game in a store (yes, I live in Cave on Mars) do they all feature an orange band? Please tell me no. It's due to the CERO D rating. Those have an orange band. CERO B is green, CERO C is blue, CERO A is black, CERO Z is red. It's the same across all platforms (Xbox, PS4, Vita, 3DS, etc). CIT Seven Force wrote: Wow, I don't usually go for boxed sets, as usually they just include a bunch of crap I don't need, but this one is amazing. All killer, no filler! I have DESIRE for PS Vita preordered. Comes out April 28. Eve Burst Error Vita is GREAT, by the way. 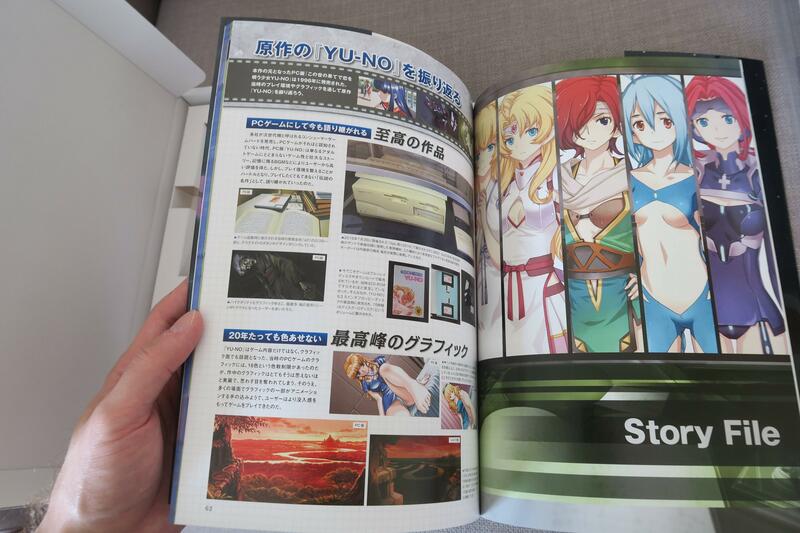 Really an amazing update of the Saturn original that respects the original art. 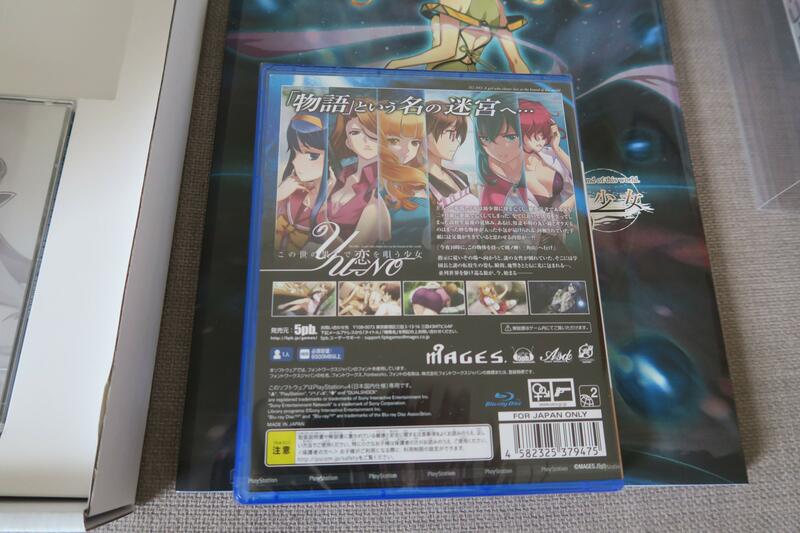 Both games are PS Vita TV compatible too. And yeah, I almost never buy LEs, because it's usually just some trading cards and an art book or whatever, but this one is great. Game is great too.